My Sukkot starts on the last chapter of the book of Jonah, the unnecessary chapter of the book, after Jonah “did his job”, the people did “their repentance”, and everybody lives happily ever after. Why doesn’t G-d just leave the poor guy alone? what else can G-d possibly want from him? Jonah, disappointed with his success (yes! that happens to us too !) goes out to sit under a… sukkah; in its shade he finds refuge. And indeed, in Hebrew, tzel (shade) and hatzala (salvation, rescue) share the same letters and are very close words. How strange for Jonah to find refuge in a sukkah. Shouldn’t he have found it maybe in a fortress? And yet, our whole holiday is about just that: reminding us that things that appear “solid”, might be not so, and things that appear transient – can be lasting. Last week, I had the great honor to spend two days in Houston, Texas on an all too brief mission sponsored by Yeshivat Maharat. And there we were, trying to salvage items with long lasting “guarantees” from brick and mortar houses, designed “forever”, but flooded and damaged, while outside, in the yard, quietly and peacefully, stood – ready for a chag – a sukkah. 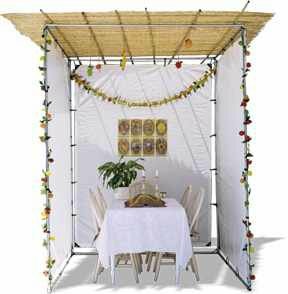 Sukkot is also a holiday which introduces the hardest mitzvah of all: being happy. How can we possibly be commanded to be happy?? May we find joy in this holiday, and from it, to the rest of the year. Chag Sameach! This entry was posted in Uncategorized and tagged happiness, houston, Life, sukkot. Bookmark the permalink.